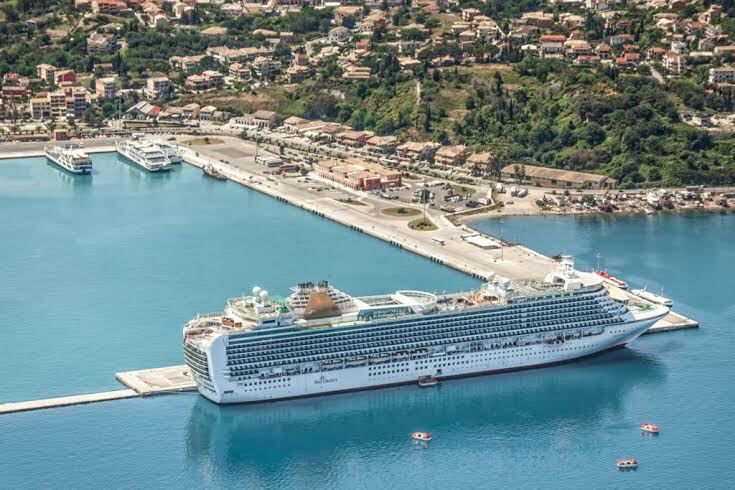 Moving ahead with plans for the establishment of waterways as well as the sub-concession of port activities topped the agenda of the National Coordination Committee for Cruise Affairs which convened this week under the supervision of Shipping Minister Fotis Kouvelis. Addressing the committee, Kouvelis said the government would be moving ahead with sub-contracting activities at 10 state-owned ports – namely the ports of Alexandroupolis, Kavala, Corfu, Igoumenitsa, Volos, Heraklion, Patras, Lavrio, Elefsina and Rafina – and would be announcing international competitions in the immediate period, with the aim to stimulate investments in cruise travel. He added that a relevant bill would be tabled in parliament in the weeks ahead. The minister went on to add that advancing a series of long-awaited waterway projects at main ports across Greece, was a top priority. 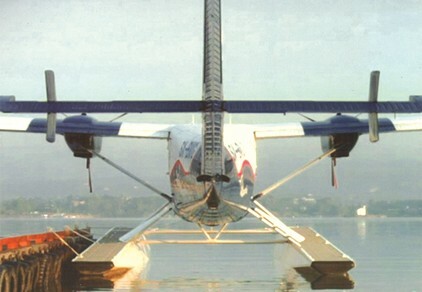 He noted that a comprehensive seaplane network would significantly support cruise tourism. Citing statistics, the minister said speeding up activities that would enhance the overall cruise travel experience was vital in view of increasing cruise passenger arrivals. Referring to the tourism ministry’s efforts to promote Greece as a leading cruise travel destination, Tourism Minister Elena Kountoura reiterated the need to for the 28-member National Coordination Committee for Cruise Affairs to work closely with both the tourism and shipping ministries towards the development of conditions for further growth in the sector. 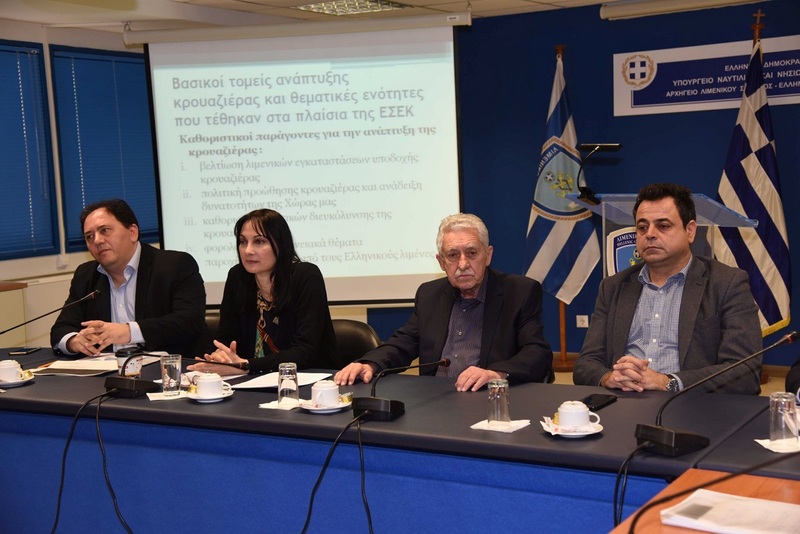 The National Coordination Committee for Cruise Affairs recently convened with the participation of Tourism Minister Elena Kountoura and Alternate Shipping Minister Nektarios Santorinios, under the supervision of Shipping Minister Fotis Kouvelis. On a final note, Alternate Shipping Minister Nektarios Santorinios pointed to the uniqueness of Greece’s archipelago, “Europe’s most extensive network of islands, each of which can evolve into a cruise destination in its own right under two conditions: that we respect the island community and its capacity to welcome travelers with the suitable infrastructure and, naturally to ensure the infrastructure needed to support cruise travel is in place”.